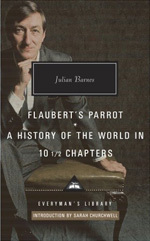 Numerous theses have been published on the works of Julian Barnes. If you have written a thesis not listed here, or if you would like to have your thesis published on the Julian Barnes Website, please email the webmaster. 2016 - "Postmodernism and the Short STory: A Discussion of Julian Barnes' Pulse," Antonia König. 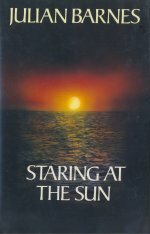 Philosophischen Fakultät der Universität Rostock, Britische Literatur/Anglistische Literaturwissenschaft. 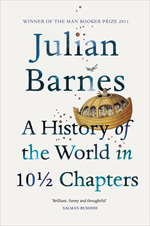 2015 - "The Compositional and Linguistic Markers of Hypertextuality in the Novel by Julian Barnes A History of the World in 10½ Chapters", Anna Shlipatska. MA thesis, Odessa National I.I. Mechnikov University, Department of Lexicology and Stylistics of the English Language, 2015. 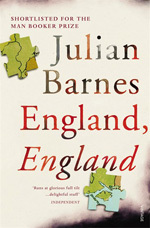 2014 - Englishness, Englishness Identità nazionale nei romanzi di Julian Barnes. Sara Alessio. University of Bologna Alma Mater Studiorum in Postcolonial, Comparate and Modern Literatures, 2014. 2001 - Inventing Towards Truth: Theories of History and the Novels of Julian Barnes - James E. Martin, M.Ed., M.A. (Master of Arts) University of Arkansas. This list is incomplete and needs your help. If you have written or are aware of theses not listed on this page, please contact the webmaster. Theses posted here are done so with the permission of the authors.